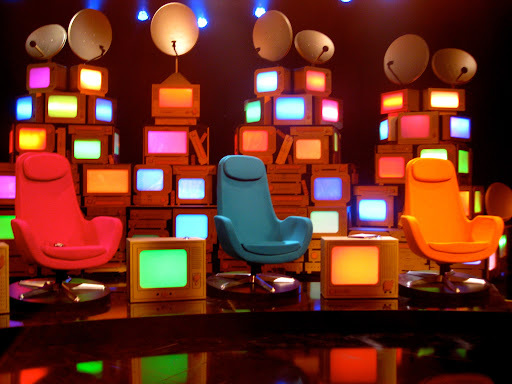 Tonight we went to the recording of Charlie Brooker's new TV show, You Have Been Watching. It was shot in a dodgy studio, over in Hammersmith, where they use to record TFI Friday. Jamelia, Ruthus Hound & Richard Herring were the guests. It was very funny, apart from having to sit right in the front, on uncomfortable seats for 4 hours. They made fun of Tony for looking like an emo Hitler.